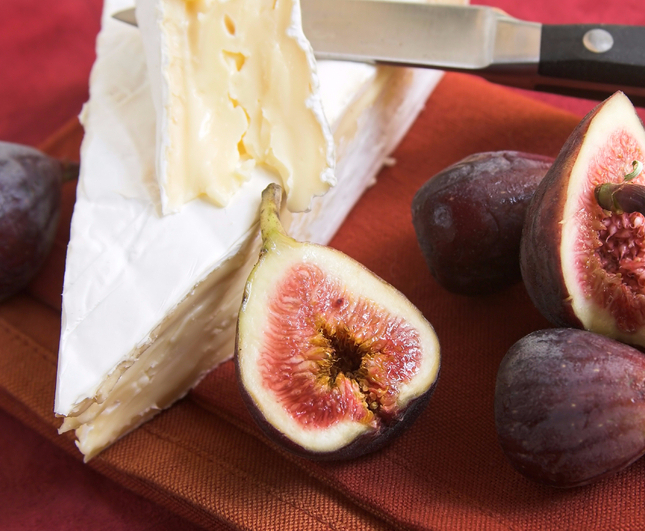 This Brie-like cheese, from the Rhone-Alpes and created by Fromagerie Guilloteau, is a soft, delicious double crème. Fromager d’Affinois differs from traditional Brie in that the cow’s milk undergoes a process called ultrafiltration, which removes water from the pasteurized milk and helps to concentrate the flavor even further. While other Brie cheeses take up to eight weeks to mature, the process of creating Fromager d’Affinois can be completed in two weeks. This rich cheese has a fat content of 60%. A white, soft rind surrounds the cheese, while the interior is almost cream-like, becoming gooey and wonderful as the cheese comes to room temperature. Reminiscent of freshly churned butter with earthy undertones, this Brie-like cheese will quickly become your next favorite. Application: Perfect with fresh fruits, a toasted baguette or surrounded by crispy puff pastry, a cocktail party classic! Pairing: Try the Fromager d’ Affinois with white wines like Riesling and Sauvignon Blanc, or an Abbey Ale like Chimay Triple (White). Light, crispy and gluten-free, Valley Produce Company’s Plain Potato, Cheese and Chive Crackerthins are made with premium potato starch to give each Crackerthin a distinctive crunch and savory flavor. 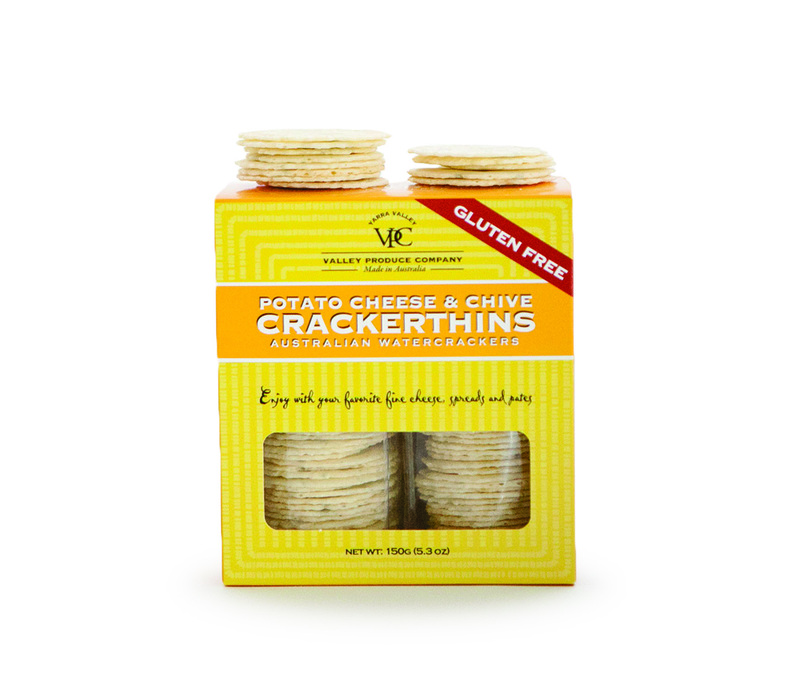 VPC uses premium potato starch, bold parmesan cheese and pungent chive to give each Crackerthin a robust flavor that’s the perfect accent to any cheese platter or appetizer dish. Made with all natural ingredients and no added colors, preservatives or artificial or flavors, this gluten-free option is fantastic with your favorite fine cheese, vegetable dip or fruit pyramid!